Stole some time for a couple hours Saturday evening & sat against an old stone wall waiting for a deer to show itself. Well, none showed up, but no matter. Waiting gave me some time to wonder how many hunters had hunted this little corner of the earth before. I could see where someone had made a little indent in the stone wall for a seat. Fifty yards away was an old wooden tree-stand too; still a good spot. Earlier this season, I took a doe with the bow 5 yards from where I now sat. 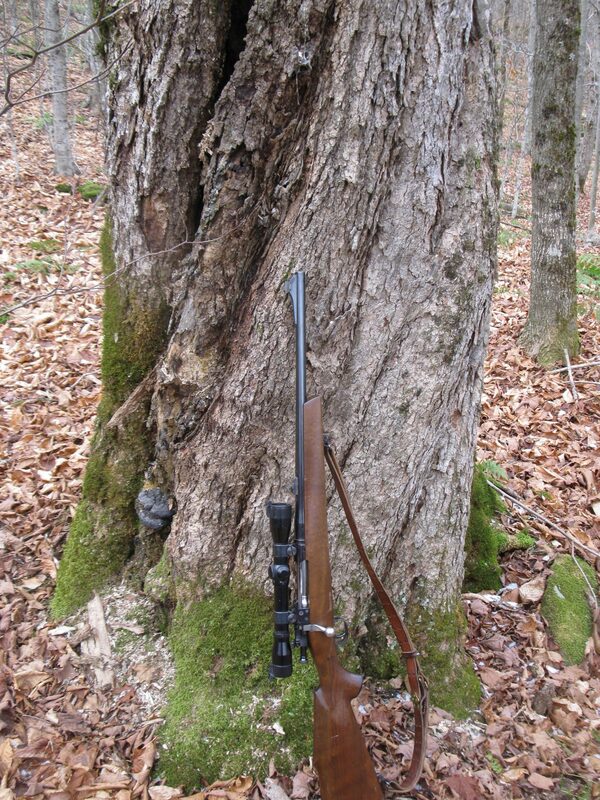 How many hunters have stared at this same site, thinking, watching, waiting, wondering. The only thing I heard was snowflakes hitting hemlock needles; not bad.